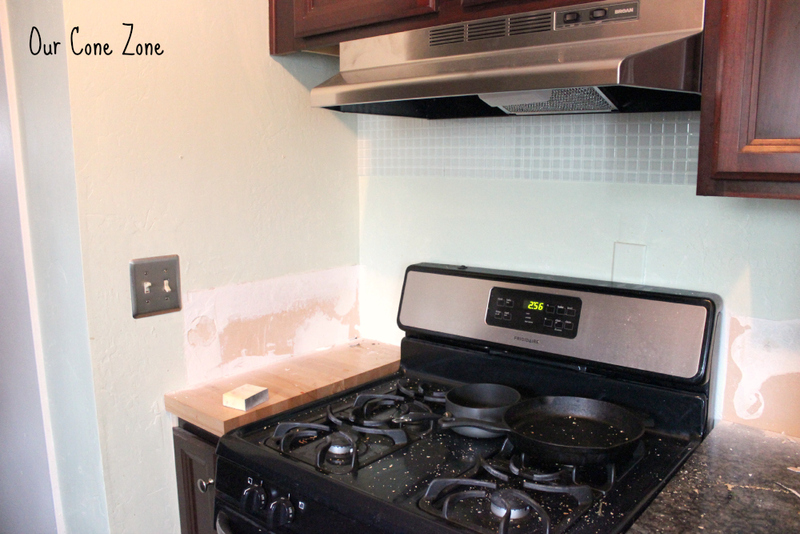 Kitchen Updates– We Have Progress! 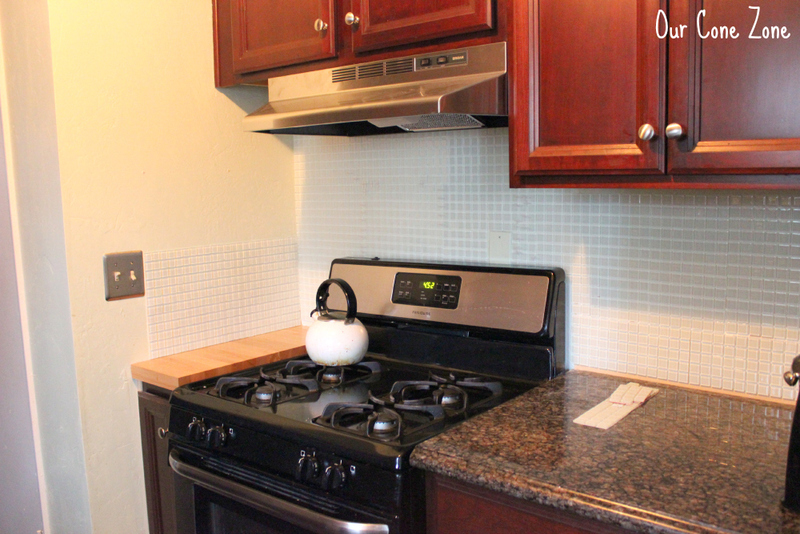 We have backsplash and a vent hood! 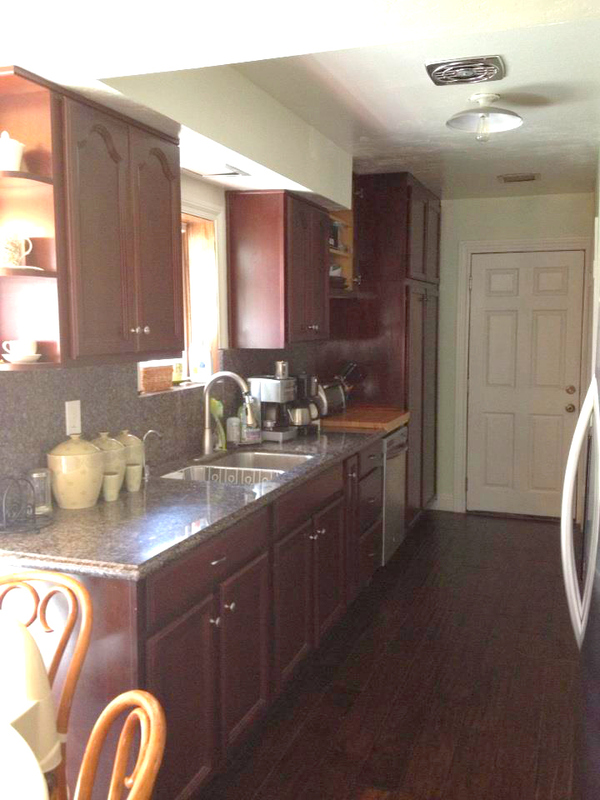 My dreams have come true…on this side of the kitchen, at least. It’s so beautiful, it makes me want to cry. For reasons that I have yet to elaborate on, I really needed a “win” today, and this little update is just what I needed! Here’s the before, just in case you forgot. Huge improvement, yes? 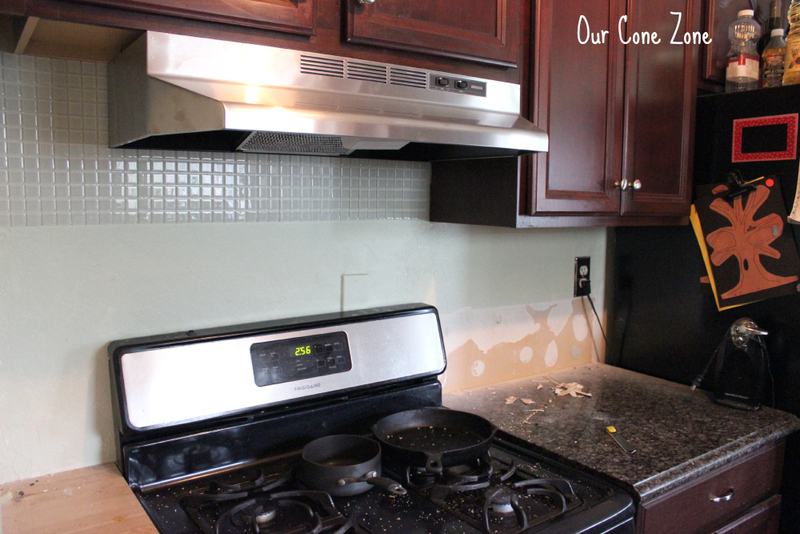 Earlier this afternoon, our contractor came and installed the vent hood and peeled off the granite backsplash for me. Looks done, right? 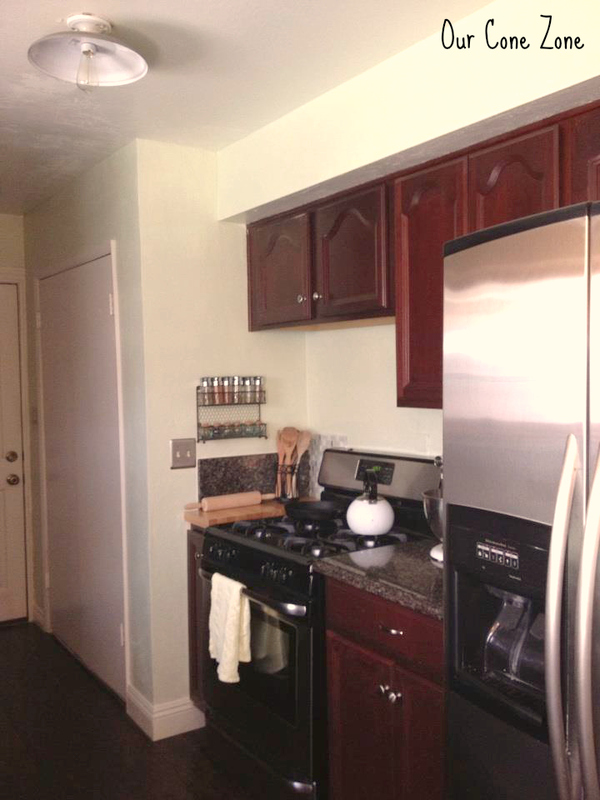 😉 The before shot is a better representation of the aqua paint I had on the walls to see if I liked the sea-glass color. 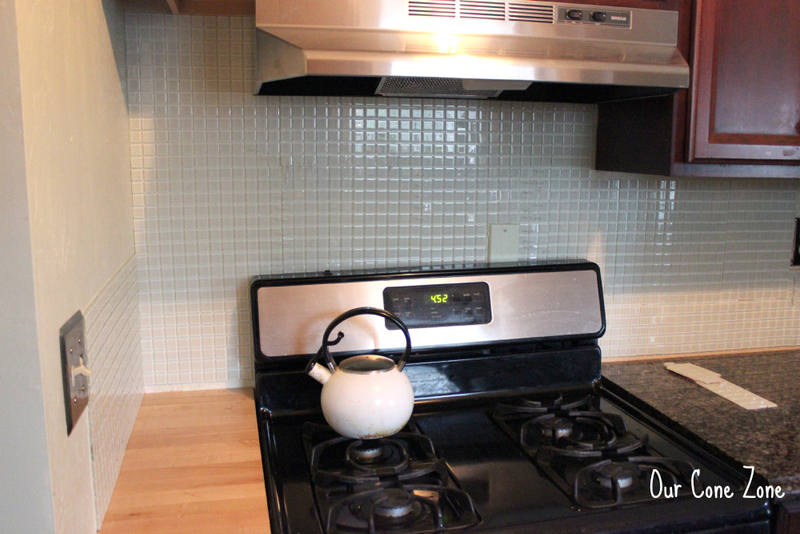 I used peel and stick tiles from Mineral Tiles, and I love how they have a hint of sea-glass green in them! Jesse and I installed them in just a few hours. 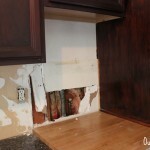 We still have to grout them, which is good because although they’re very sticky, I don’t want to take any chances. Here’s another couple looks for you! Onward to the other side! Stay tuned for next week’s installment (and if you missed the previous house tours, you can see our living room, laundry room, master bedroom, upstairs bathroom and downstairs bathroom). 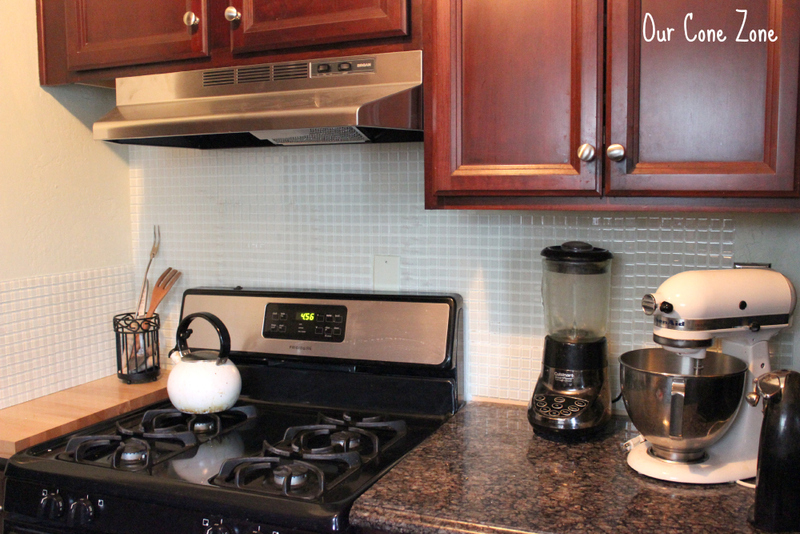 House Tour: Kitchen Facelift COMPLETE! 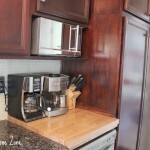 House Tour: Kitchen Facelift ALMOST done! SO cute! It makes such a huge difference! 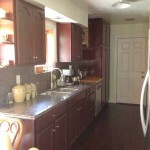 I love that color back splash you got too, it really brightens up the space. Can’t wait to see what you do with the rest of it!